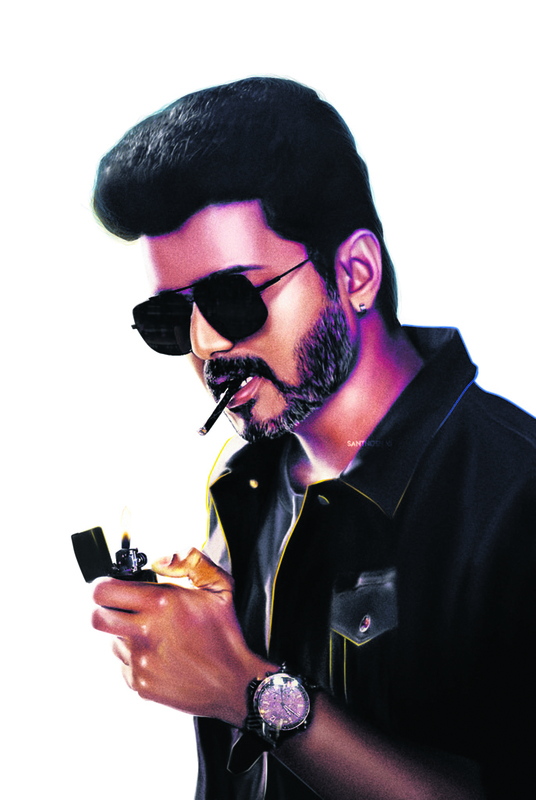 There is surprise awaiting for Vijay fans during the audio launch of the favourite star's next film, 'Sarkar.' Sun Pictures, the producers of the film, has released a poster that claims that, "There’s no hall big enough to seat all Thalapathy Vijay’s fans. So here is a chance for a select few to attend the 'Sarkar' Audio Launch in person! So, get ready Vijay fans, who want to catch the audio launch live to get a glimpse of Vijay. With the grand audio launch scheduled to happen on October 2, the fans have to wait for some time to know about the event's venue and other related details. 'Sarkar' is currently in the post-production stage and is gearing up to hit the screens worldwide on Diwali this year. The film marks Vijay's third collaboration with director AR Murugadoss after blockbusters like 'Thuppakki' and 'Kaththi.' Actor Radha Ravi, who has played an important role in the film, revealed some details about Vijay’s character. “Vijay’s role in Sarkar is like the fictional character Zorro. Like Zorro, Vijay will be a representative of the people in Sarkar. Murugadoss has done a fantastic job with the script. The film is high on heroism,” the senior Tamil actor said. Vijay has played vigilante hero roles several times in the past. His last film 'Mersal' also saw him donning a character, which murders corrupt professionals in healthcare sector. He had also played a superhero-esque vigilante in 'Velayudham' (2011).